Born in Sofia in 1980, Ekaterina Petrova graduated from the American School of Kuwait, then went on to earn a BA in International Studies and German Studies from Macalester College in Minnesota and an MSc in European Politics from the London School of Economics.Currently based in Sofia, she has also spent time living, studying, and/or working in New York, Berlin, Cuba, Northern Ireland, and the south of France. 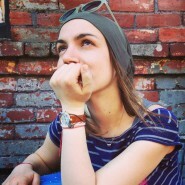 Over the last several years, Ekaterina has been working as a freelance translator, interpreter, and cultural journalist. She has translated numerous short stories, excerpts from novels, screen and theatre plays, and journalistic articles into English. Her translations and her own writing have appeared in Bulgarian and international publications, including Capital Light, BG Guide, Balkan Travellers, One Week in Sofia, Bulgaria On Air, and Vagabond magazine, the B O D Y literary journal, the Dnevnik newspaper, and various publications of the Balkan Investigative Reporting Network. Since 2012, Ekaterina has participated in each annual edition of the Literary Translation Atelier, organized by the Elizabeth Kostova Foundation and the Bulgarian Translators’ Union. In 2015, she took part in the international Poetry Conference in Koprivshtista, also hosted by the Foundation. In 2014, she was awarded the Foundation’s Literary Translators Fellowship and spent a three-week residency at Open Letter Books in Rochester, New York. She is currently working on a variety of projects, including her first book-length translation, as part of the Applied Literary Translation Program, organized by Dalkey Archive Press, in collaboration with the Center for Translation Studies at the University of Illinois.